Here at ClearSight, we are focused on one goal: providing the life-changing benefit of Sight Without Glasses. In the past, that mainly meant vision correction through the use of all-laser LASIK, but recent years have ushered in new technology and treatment options that expand the range of conditions we can correct as well as results we can achieve. Today, we are excited to be one of the first centers in Oklahoma to offer the benefits of the Visian Toric ICL. Until recently, the Visian ICL was only approved to treat patients with myopia (nearsightedness), but now with the approval of the Visian Toric ICL, patients with high degrees of both myopia and astigmatism can have their vision corrected to gain freedom from glasses and contacts! The Visian Toric ICL is a tiny lens made of collamer, a technologically-advanced and biocompatible material, that works along with the natural physiology of your eye. The lens is placed under the surface of the eye in front of your natural lens to correct your prescription and have you seeing clearly. Unlike contact lenses, it’s maintenance-free. It never dries out or gets dirty. You don’t have to put it in every morning or worry about it getting lost. The treatment is even reversible! Am I a Toric ICL Candidate? Patients who dislike with the ongoing hassle of taking contacts in and out, the drying out of their eyes, and the expense of bottles and cases and solutions will likely be much happier with this much more permanent vision correction solution. 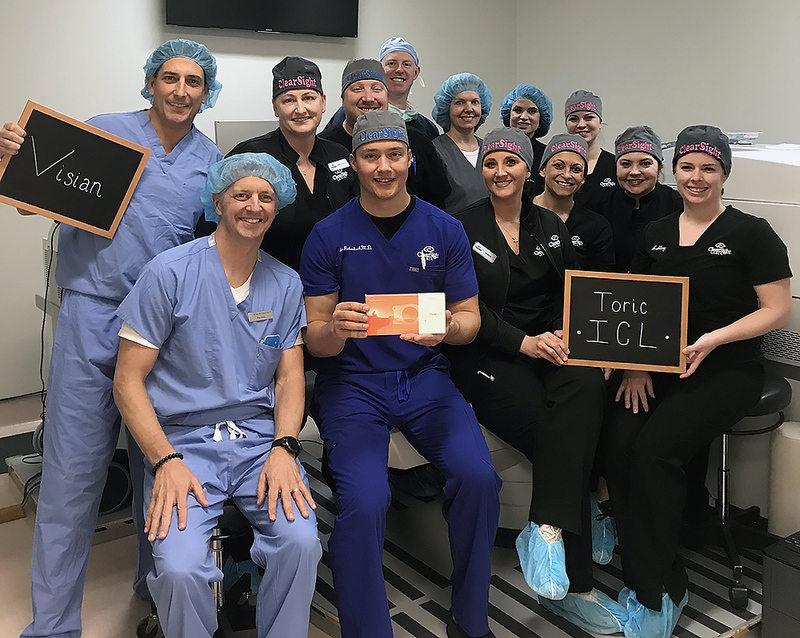 We typically recommend the Visian ICL, and now the Visian Toric ICL, for patients that have moderate to high degrees of nearsightedness and astigmatism. The results have been proven to be just as good, and in many cases, much better than what we can achieve with LASIK. The only way to truly know all your options is after a thorough medical evaluation, which we provide to all new patients – for free! Are you ready to find out if the Visian ICL (or another treatment) is your best option to achieve Sight Without Glasses? Then schedule yours today!